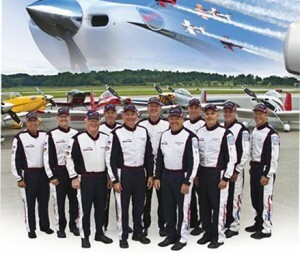 Team AeroDynamix is the world’s largest formation flying aerobatics team. Hartzell, a proud partner of the team, is honored to help them push the limits of precision piloting by providing them with our Advanced Structural Composite (ASC-II) propellers, spinners, governors and service through 2018. Yesterday General Aviation News published a fantastic video, produced by LiveAirShowTV.com, about Team AeroDynamix. If you have never heard of them before this video is a great introduction to the team, their hard working mentality and family lifestyle that drives their aerobatic excellence.